F1 is not a sentimental sport. As a circus that boils down in its totality to numbers on a stopwatch and numbers on a balance sheet, the human factor can sometimes lost in the relentless pursuit of better numbers. However only the most icy-hearted, hard-nosed cynic could honestly profess to not having missed Jenson Button’s effortless charisma and intrinsic likability so far this season. Probably to an extent that has not been felt since Michael Schumacher’s initial retirement in 2007, Button’s exit has left a void in the paddock. Of course different drivers have different importance for different people, and I would never wish to compare the vacuum they leave behind. For many people the retirement of a similarly innately affable Aussie at the end of 2013 was momentous, however whilst Ricciardo capably took Mark’s Aussie-winning baton, and with fans arguably able to better access Webber than ever before due to the access afforded by the FIA WEC, Mark remained highly visible. However since November, Jenson has all but disappeared. Having no doubt melted into a eye-wateringly exclusive and glamorous lifestyle, it would be difficult to place a single quote from the pipe ‘n’ slippers man. That was until Zak Brown and Fernando Alonso royally pulled the rug from a paddock blissfully unaware of other types of motorsport. All of a sudden Jenson and his slippers would be deputizing for one of the greatest drivers in the world on one of the most demanding tracks in the world. His reaction? In keeping with a man who has always kept his cool, and as the mark of a man assured that his place in Grand Prix racing history is sealed, was almost complete indifference. His refusal to test the MCL32 in Bahrain was actually very understandable: any information garnered from the boiling-hot, wide-open expanses would not be remotely relevant to Monaco beyond the basic procedural pointers he could easily pick up from the simulator, simulator work he would not be doing if he was as indifferent as Mark Webber has suggested. Indeed, it is the ideal likely fairwell cameo for Jenson. There is absolutely no pressure on his shoulders; anything he achieves will be a bonus. The most interesting point of his return will be to scorecard Stoffel Vandoorne’s level of performance. I have been frankly astonished by the toils the Belgian has suffered in the first five races of his full-time Grand Prix career, astonished given that every indicator in his career to date, including his point-scoring 2016 Bahrain one-off, suggested that he would take to F1 like a duck to water. 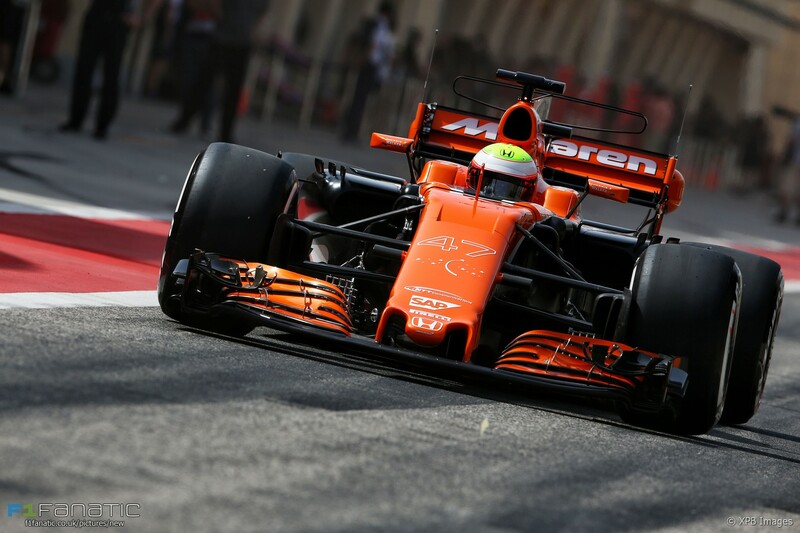 Yes, he is Fernando Alonso’s teammate (with all that that historically entails), and yes, he is a rookie parachuted into a team in an entrenched crisis, but one of the best prepared and best accredited young drivers of modern times, we should be expecting big things of Stoffel. 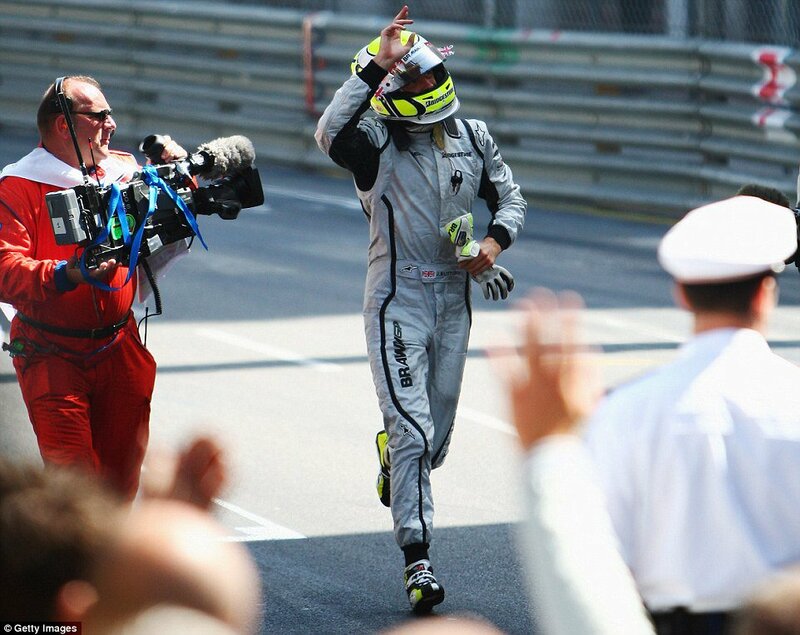 But the magnitude and confusion of Rosberg’s retirement aside, Monaco, the scene of three consecutive victories for the man who grew up on the streets, is an excellent opportunity to reflect on Nico the driver. He is the man who, circumstances aside, beat Lewis Hamilton to the title, and beyond the interminable debates about the extent to which that was a result of his speed versus Lewis, Nico begs the question, just who on the grid could have done better against Lewis over four seasons? And who, having been steamrolled in 2015, would have had the self-belief to re-motivate themself to the extent that they would become a factor for the title in 2016? Championship asterisks aside, Rosberg achieved a bounce-back in 2016 befitting of the elite sportsman he, er…was. Of course, many will also place asterisks alongside Rosberg’s ’14 and ’15 victories, due to a tragically convenient qualifying error in 2014 that may well have cost Hamilton pole, and a team pit error that handed Hamilton’s victory to Nico in 2015. However as the man who set the fastest lap of the weekend in an uncompetitive Williams in 2008, or P5 on the grid in an even more uncompetitive Williams in 2007, or as the man who was fastest in Q2 in a thoroughly average Mercedes in 2010, it is impossible to state that Rosberg was anything less than spectacular on the streets of Monaco. It is a shame then, whilst I am sure he will be in attendance, that he will not be showcasing his Monaco mastery like fellow retiree (albeit inelegantly caveated retiree) Button. At least Jenson’s Monaco drive will give the paddock an opportunity to celebrate his career, an opportunity deprived in Nico’s case by the sheer magnitude of the implications of his winter revelation. I for one, have no qualms in admitting that I have thoroughly missed the only two men to outscore Lewis Hamilton over a season from the 2017 grid.